If you want to achieve a certain goal in your life, you must understand that self discipline plays an important part. It’s almost the key ingredient for success. 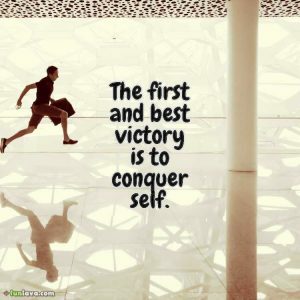 Without self discipline it would be hard for you to reach your goal since there will be a lot of temptation along the way and having discipline keeps you self controlled. The journey might be hard, but if you’re in the right mindset, everything will seem easier along the way. If you find it hard to concentrate or focus on your certain goal, here’s some quotes about self discipline to keep you back on track! The road to character is built by confronting your own weakness. 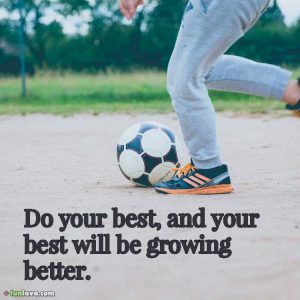 Do your best, and your best will be growing better. Sometimes the kick in the pants we need must come from our own foot! you’re just not going fast enough. Every good man resists others in those points in which he resists himself. You can conquer any aggressive action, with restraint and patient. It is necessary to try to surpass one’s self always: this occupation ought to last as long as life.